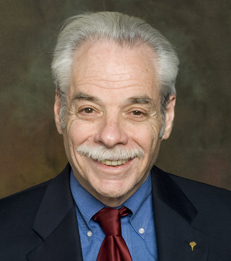 Richard Freedman is a Distinguished Service Professor of Management Emeritus. His teaching has included courses in organizational analysis, selection and appraisal, and organizational behavior. Professor Freedman has been with NYU Stern for more than 40 years. His primary research areas of interest include management education; analysis of organizations; consulting; and organizational change. He is the author of "Management Education: Issues in Theory, Research and Practice" and has published numerous articles in publications including Academy of Management Review; Academy of Management Journal; Journal of Educational Psychology and Research in Higher Education. In addition to his research, Professor Freedman has been recognized for his excellence in teaching. He received the NYU Distinguished Teaching Award in 1994 and the Stern School of Business Distinguished Graduate Teaching Award in 1991. He has been voted by the MBA students as "Professor of the Month" a number of times and is one of only three Organizational Behavior professors among all the top business schools voted by alumni as one of the best professors in BusinessWeek Guide to the Best Business Schools in 1995. Professor Freedman has served in important administrative positions at NYU Stern, including Vice Dean of MBA Programs and Chairman of the Management Department. Professor Freedman has expertise in consulting, strategic planning, and organization structure and change. He also has worked extensively on executive selection, development, compensation, and appraisal. He has experience in several industries and areas of management, including higher education, charitable fundraising, community service, financial services, advertising, and travel. Professor Freedman received his Bachelor of Science in management, his Master of Business Affairs in management and economics and his Doctor of Philosophy in human resources and organizational behavior from New York University.